LifeNews.com Pro-Life News Report Monday, December 10, 2018 | What Did You Say? U.S. Supreme Court Justice Clarence Thomas criticized his fellow justices Monday for refusing to do their job when they rejected a case about state efforts to defund the abortion giant Planned Parenthood.Click to Read at LifeNews.com. The Supreme Court declined to take two cases today out of Kansas and Louisiana where lower courts refused to allow the states to defund the nation’s biggest abortion business.Click to Read at LifeNews.com. The Trump administration issued a plan Monday to promote ethical alternatives to aborted baby body parts in scientific research. On Monday morning, Time Magazine released its top ten “shortlist” ahead of the Tuesday reveal for its annual “Person of the Year” issue and many of the nominees came as no surprise. A woman who received an abortion at the Preterm abortion facility in Cleveland, Ohio, was forced to call 911 for an ambulance for herself after she was put out of the facility at the end of the business day while still hemorrhaging from her abortion. 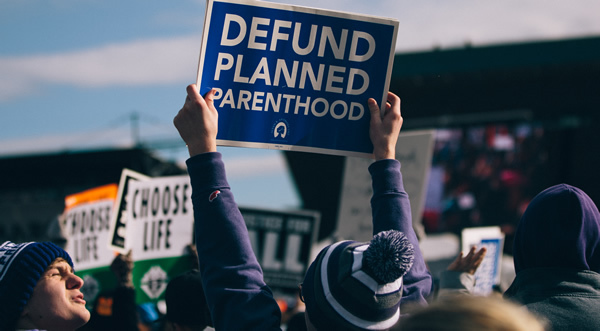 Several scientists complained this week about the Trump administration putting a halt to a taxpayer-funded research grant that used aborted baby parts. Abortionists Sue to Block Collecting Abortion Data, What Do They Have to Hide?